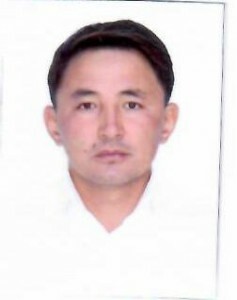 Biography: He graduated from Karaganda State Technical University in 2006 with a degree in Transportation Management and Management (by type of transport), with qualification being an engineer. From 2006-2008 he worked as a teacher of the department “Industrial Transport” them. prof. A.N. Daniyarova. at Karaganda State Technical University. From 2008-2010, he worked as the Operator of the crushing complex at the “Nurkazgan” concentrator. From 2010-2018 he worked at the Karaganda Polytechnic College. Currently a member of the Department of Industrial Transport “them. prof. A.N. Daniyarova teaches disciplines of “Fundamentals of Freight and Commercial Work”, “Freight Tariffs and Enterprise Transport” and “Cargo Engineering”.